Patients present to the dental office with a variety of needs both pressing and unique; some require a hygiene appointment and routine clinical examination, while others present with much greater challenges. In all cases, patients present with hope: that their teeth are cavity free, the nagging pain in one of their molars is a simple fix, a cosmetic concern can be corrected, or perhaps years of poor oral hygiene and the resulting decay can be repaired, allowing a fresh start with a healthy smile. Such was the case with the full-mouth restorative case detailed below. ► Read Also: ORAL HYGIENE : How to prevent tooth decay in children? 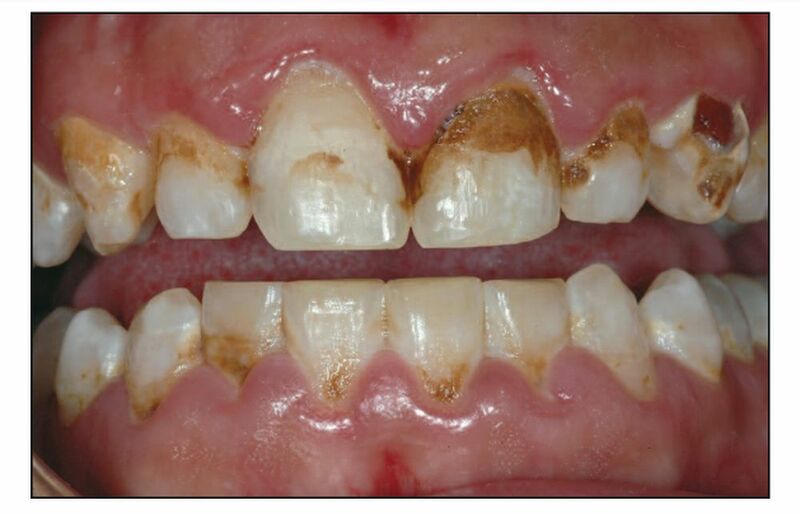 The patient had presented to the author’s office with extensive dental decay on both arches, the end result of years of neglect and poor oral hygiene, and was eager to save his teeth through extensive surgical and restorative therapies.